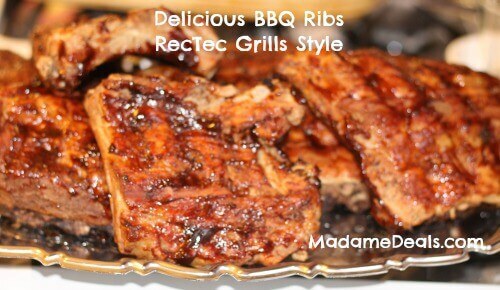 I recently had the opportunity to review a Rec Tec Grills and the first meal we cooked on it included this Delicious Barbecue Ribs Recipe. My daughter (10 years old) was involved in the whole process from start to finish. She even took responsibility for helping create and record the marinade recipe. She was very excited as this was the first time she played such a major role in a recipe. She even learned to step out of the box and try new spices she wouldn’t normally use. Not only was her marinade amazing the Rec Tec Grill made this Kids BBQ Recipes a hit for everyone at the BBQ there was barely a bite left when the meal was over. In large bowl combine all your ingredients being careful to mix all the spices throughout. Make sure all the liquids are blended together very well. If your rack of ribs won’t fit in your dish in one piece, cut them down into pieces that will fit. Place them in the marinade and let them sit for at least 6 hour up till 24 hours. 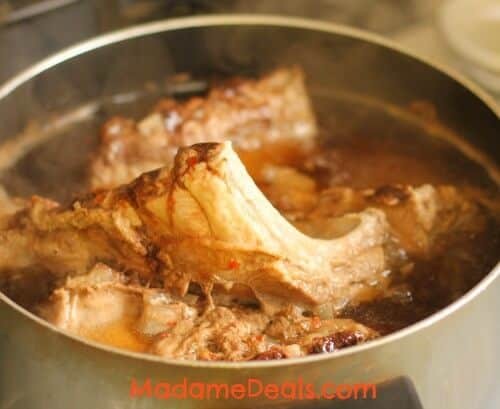 To parboil, dilute the marinade with water into 2 pots and divided the ribs in half. Boil on medium for 30 minutes. Then place on a preheated grill at *350 for 30 minutes. 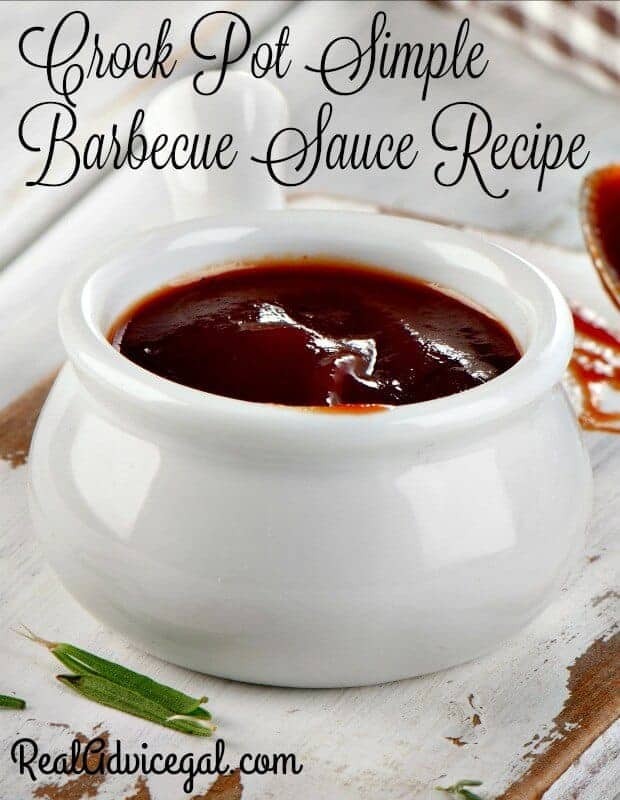 Coat with Barbecue Sauce and let cook for an additional 15 minutes. 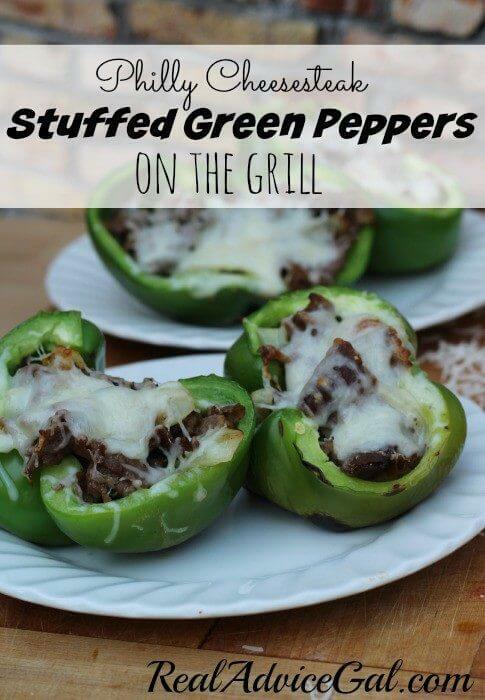 Place them on a preheated grill at *275 and cook for 3 hours. 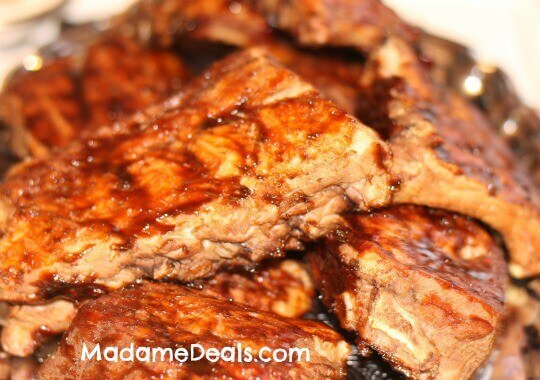 Coat with Barbecue Sauce and let cook for an additional 30 minutes. 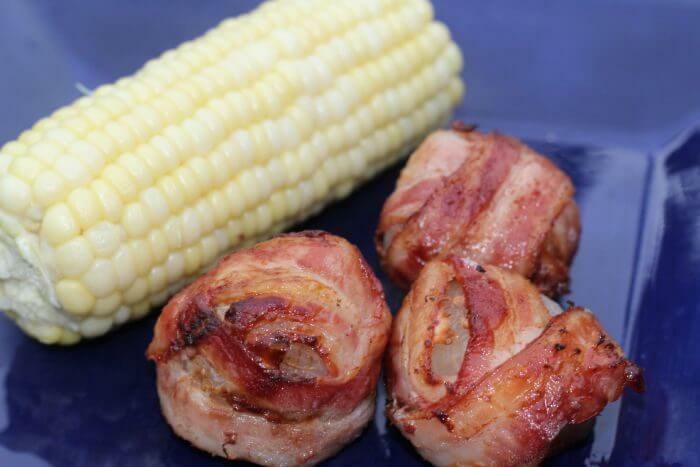 We will be featuring more great barbecue recipes in the coming weeks so make sure you check back often. 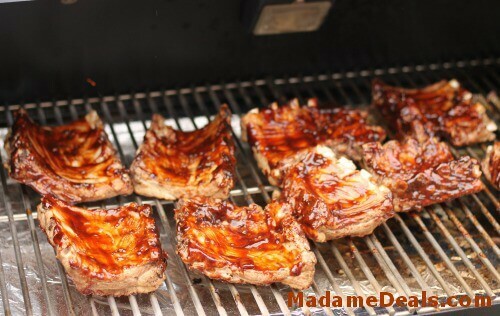 We also have several great barbecue recipes already on our site that are tried and tested by the team at Madame Deals. 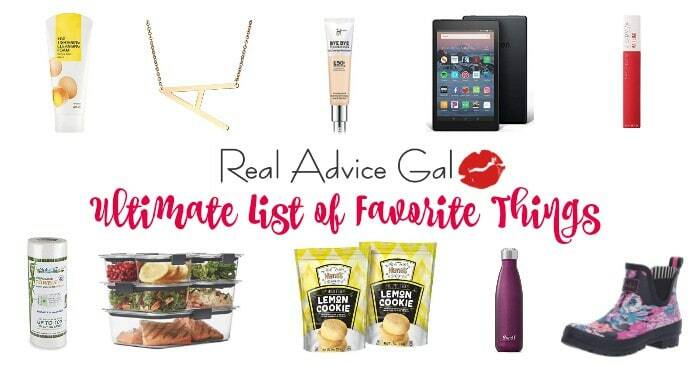 We would love for you to give them a try and know that they will quickly become family favorites at your house also. 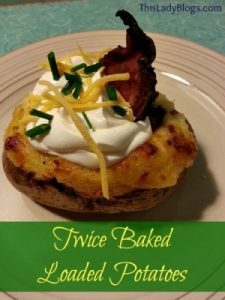 You will need some delicious sides to accompany your main dish so check out these great options. 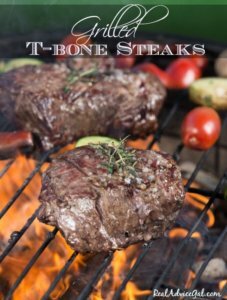 This great Kids BBQ Recipes was cooked on the Rec Tec Grill and the flavor was phenomal from the wood pellet system and we didn’t have to stand guard with a water bottle to battle any flames. This allowed us plenty of time to mingle with our guests. If you want to check out all the great details about Rec Tec Grills check out my full review here –> Rec Tec Grills Review. If your rack of ribs won't fit in your dish in one piece, cut them down into pieces that will fit.